ELECTRICITY : electricity is charged at the end of the stay, real price. We can help you organize your transfer from the airport, and your excursions in Las Terrenas ans around. The house is for 6 people maximum. Additional travelers will not be accepted in the house. The property was exceptional. We were personally met at the property and the condo was very clean and ready for us at the promised time. Comfortable beds, nice kitchen and everything worked. 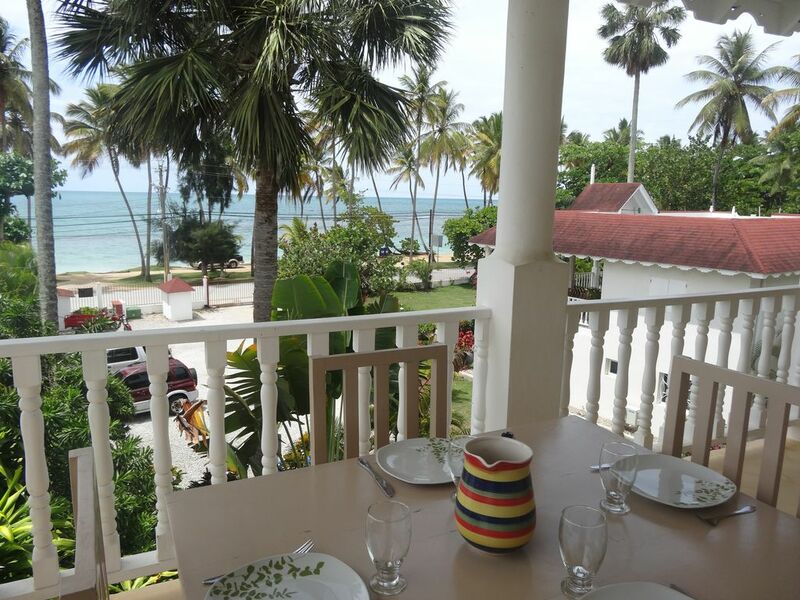 In spite of being a few steps from the beach, we often just sat on the balcony just enjoying the incredible view. Pictures can't do justice. But the beach is one of the best in Dominican Republic. Owner and manager were very responsive to any questions and making sure it was a nice stay. Highly recommended and will stay again next time in Las Terrenas. They also own the one next door so you could literally have a 5 bedroom option is you have a large family or group. The only oddity in the place was the bath in the master bedroom had shower and sink but no toilet so you had to go to the hall or upstairs to use toilet. Nothing the owner could do about that but just seemed an odd design. We really enjoyed every minute there and look forward to our next visit.